Nothing can beat a trip with your adorable amazing friends who are stupid than you in all respect. 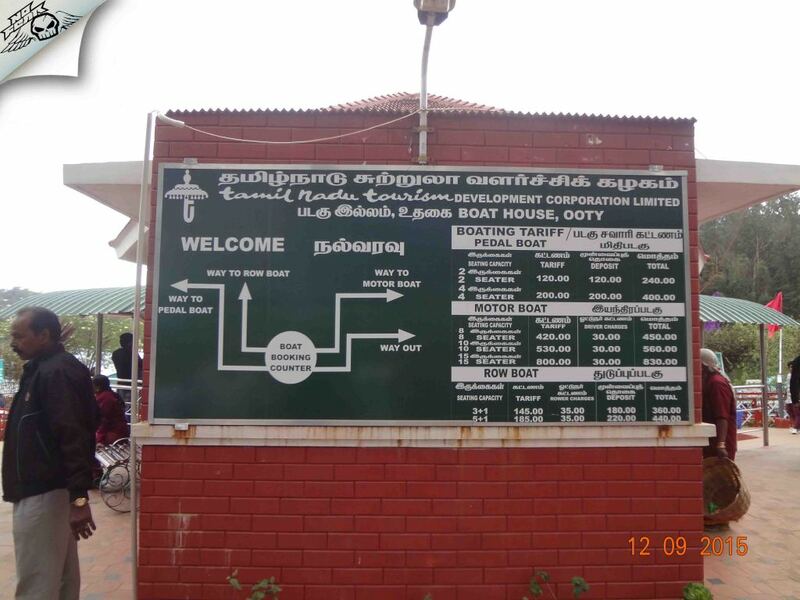 Deciding destination could be harder in such case. Phoebe said "No Waterfalls, No Trekking, No Adventure". 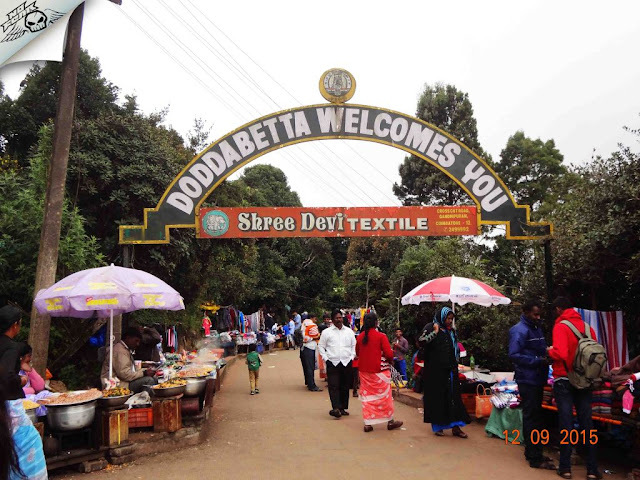 Finally settled at this place which met all of the above conditions but still didn't fail to amaze us - Udagamandalam popularly known as Ooty. 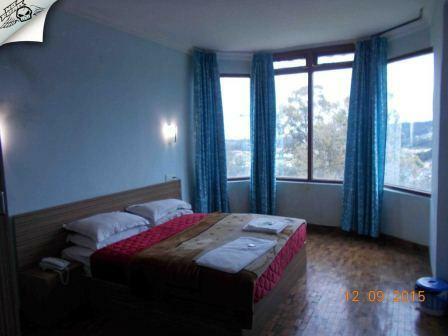 When girls are accompanying it could difficult to find decent stay, but its untrue in case of Ooty. 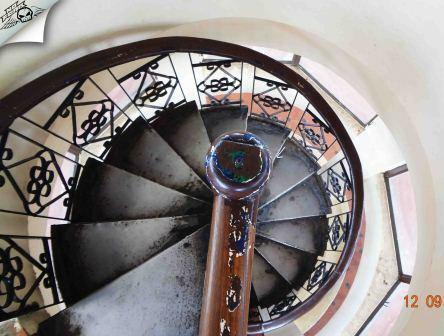 There are plenty of good stays which are good, clean and safe. 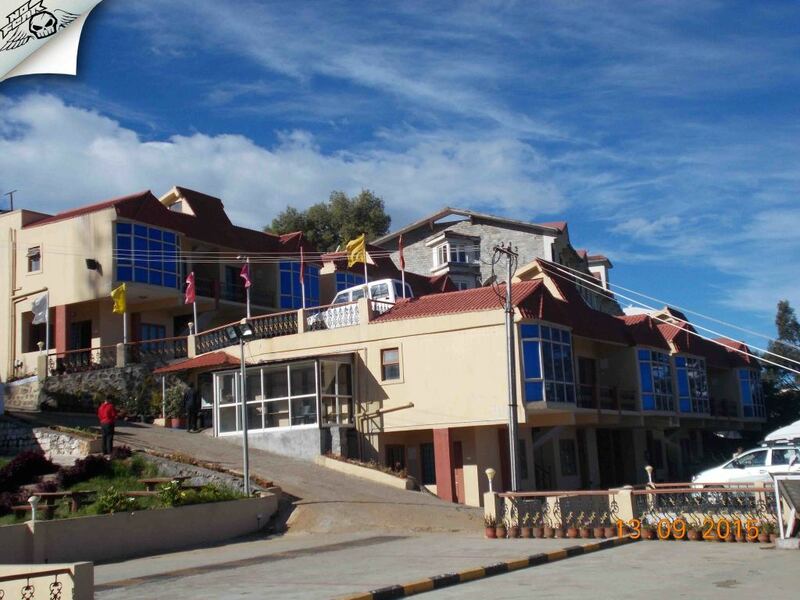 Needless to mention as its a well known honeymoon destination, you can expect all basic facilities like washrooms, food, public transportation at every attraction you visit. 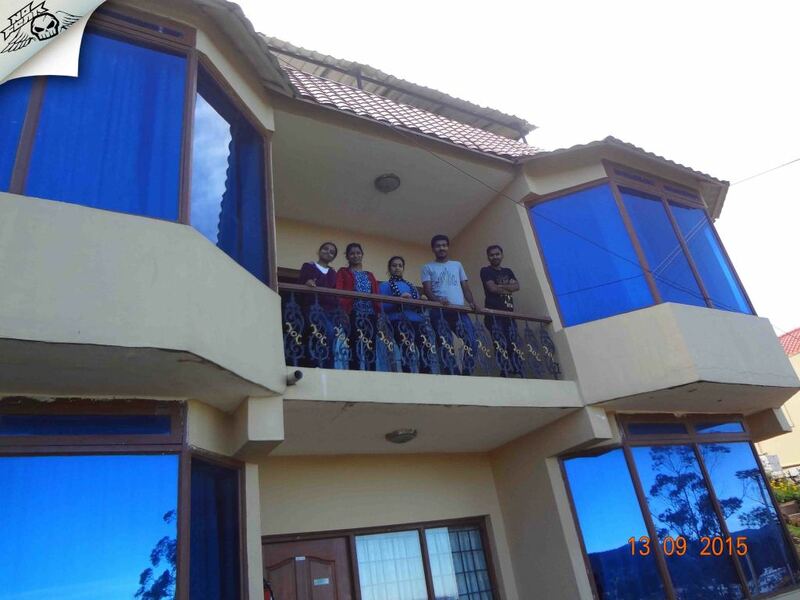 Finally after searching hours together on internet found this hotel called Tulips Elk Hill resort, since we were in groups they offered us a 2 BHK cottage which was a perfect choice for us. Located in the Blue Montains of the Western Ghats, Ooty encapsulates lofty mountains, incredible lakes, dense forest, sprawling grasslands and endless miles of tea gardens. 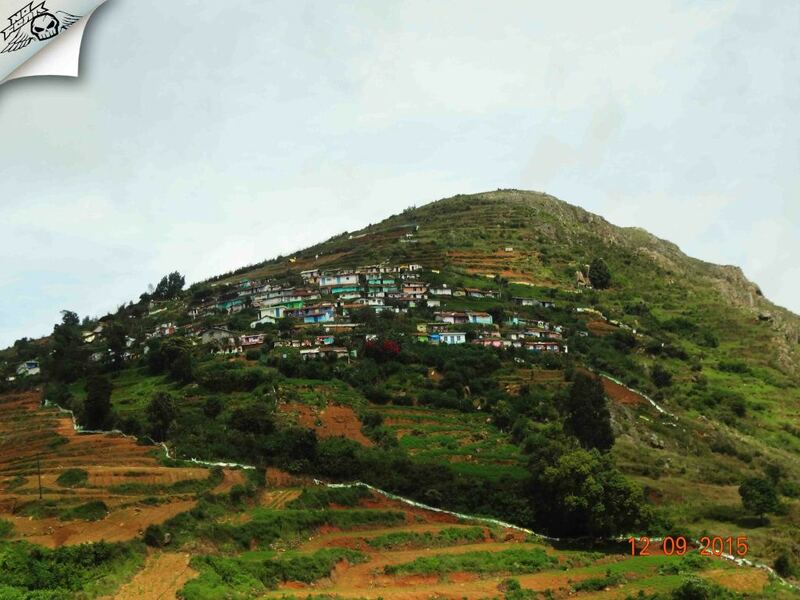 The hill station itself is a land of picturesque picnic spots which explains why it is called as The Queen of Hill Stations. There are many number forests and hills that have been earmarked for tourism of which below are the ones we visited. Doddabetta Peak: Awarded with the title of Highest Peak in South India, this 2,660 meters high hill offers enchanting view of major cities like Coimbatore, Avalance Lake, Mukti Peak, Ooty Town. Ooty Lake: Artificial lake constructed back in 1824 by damming the mountain streams flowing down Ooty valley. This lake is praised of its serenity and charming beauty. 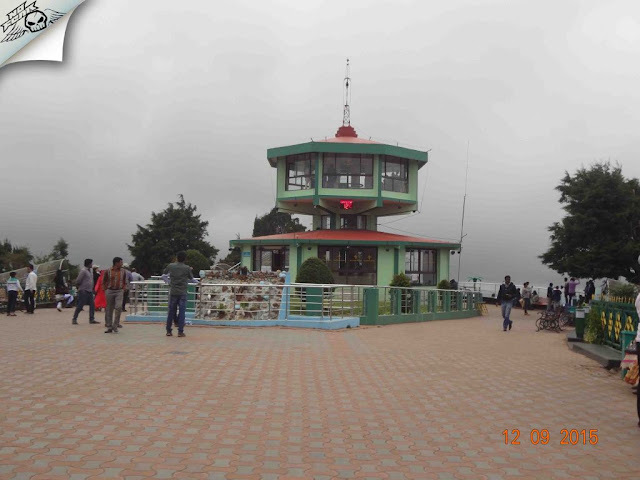 Apart from its charm the lake also offers many activities like boating, children park, fun ride, 3D shows etc. Lamb's Rock: The rock is a jagged cliff that drops down several hundreds of feet to the lush jungle below. Coonoor stream is also visible some 5000 feet below, this vantage point also provides you with an excellent view of the Coimbatore plains. Dolphin's Nose: Dolphin's Nose is a massive rock formation which replicates a Dolphin's nose. 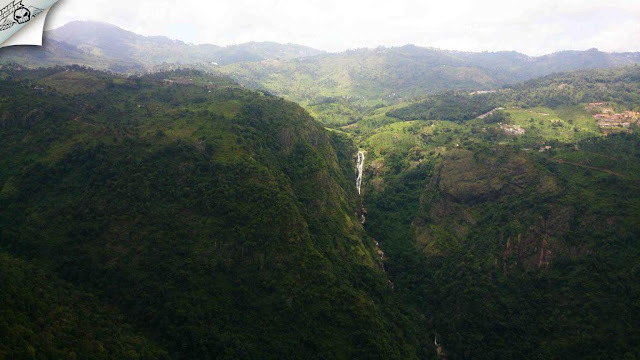 In one ravine, you can savor breathtaking views of the Catherine Falls cascading down with its continuing stream several thousand meters below. 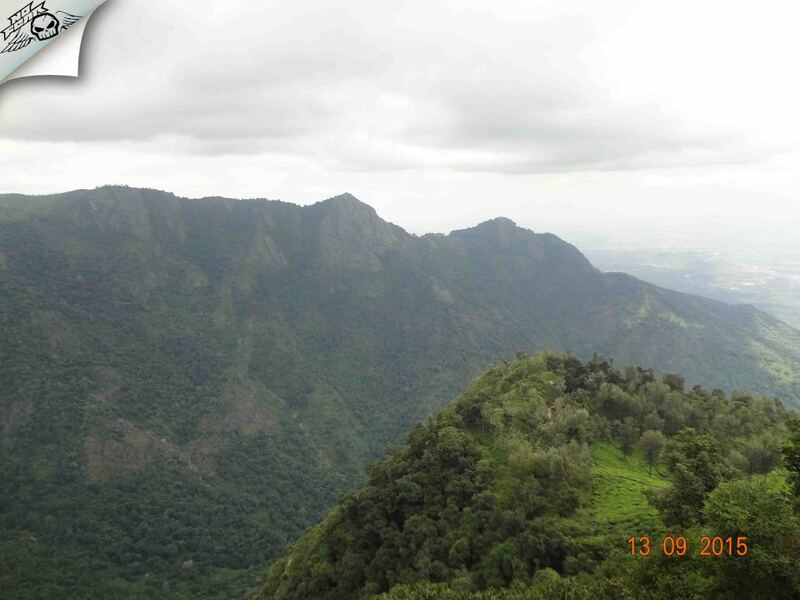 On the other ravine you can witness the confluence of Coonoor Stream and Kotagiri Stream. Friday night: After picking everyone we were good to go by 12 am, Mysore road was comparatively traffic free which reminded of my last trip to Mysore where the traffic was a nightmare. By 4.30 am we reached Bandipura National Park, where a long line of vehicles stalled before the entrance gate. We decided to take a power nap till the gate is opened. Saturday morning: After the sunrise the gate was opened, as we had plans to go for Safari ride we stopped at Bandipura Forest office. 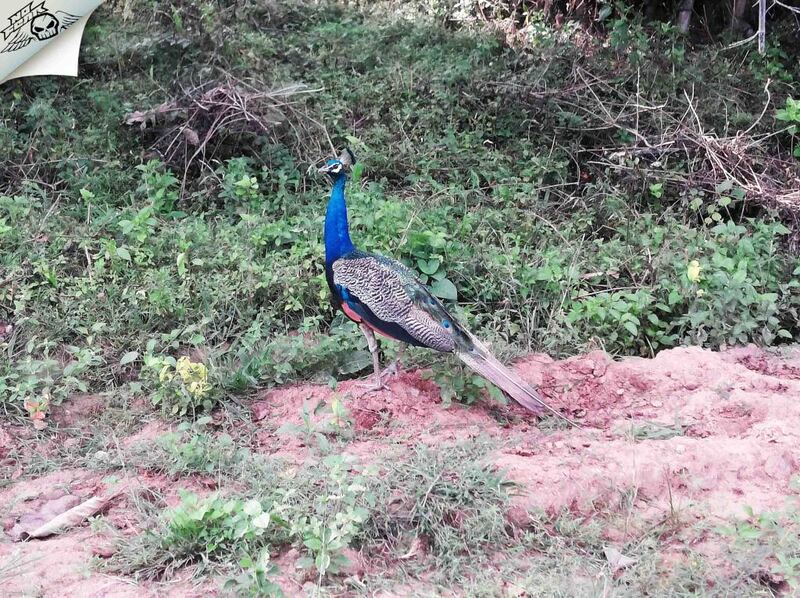 One is more likely to spot animals in the morning as they will be around water bodies to to drink water. 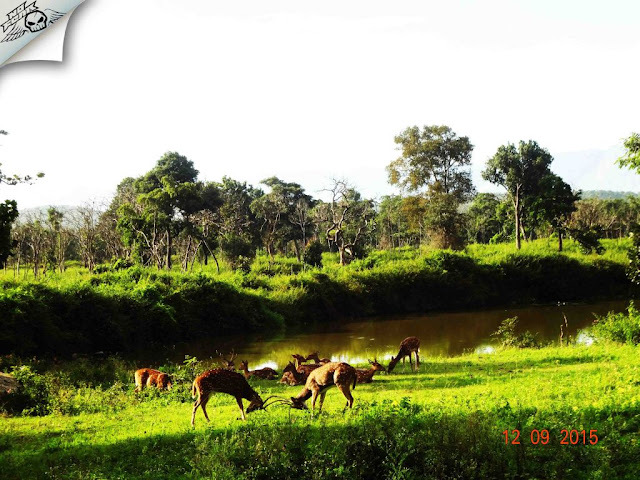 Bandipura Safari Ride: As the vehicle started moving everyone's eyes was gazing across to spot wild animals. Journey inside the forest was one of the most exciting experience of the trip. Though many peacocks, deers and other various animals were spotted, our eyes were still searching for the glimpse of Tiger, Leopard and Elephant. Safari took us near 6 to 7 water pounds unfortunately no animals were around. 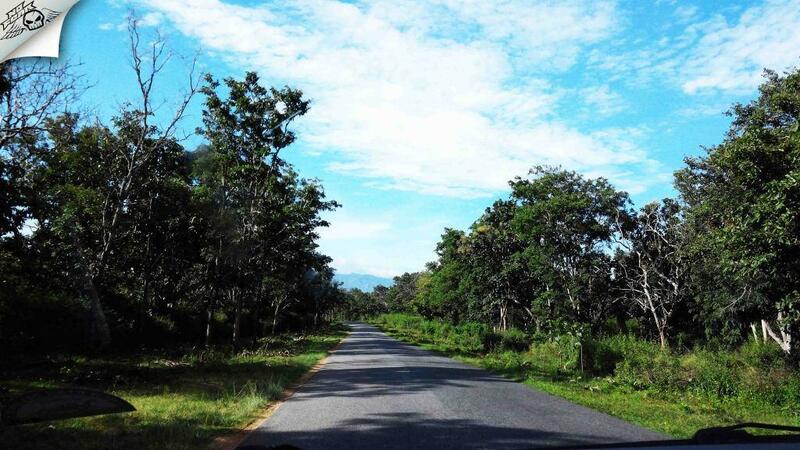 We covered almost 10+ km in search of wild animals none were spotted. 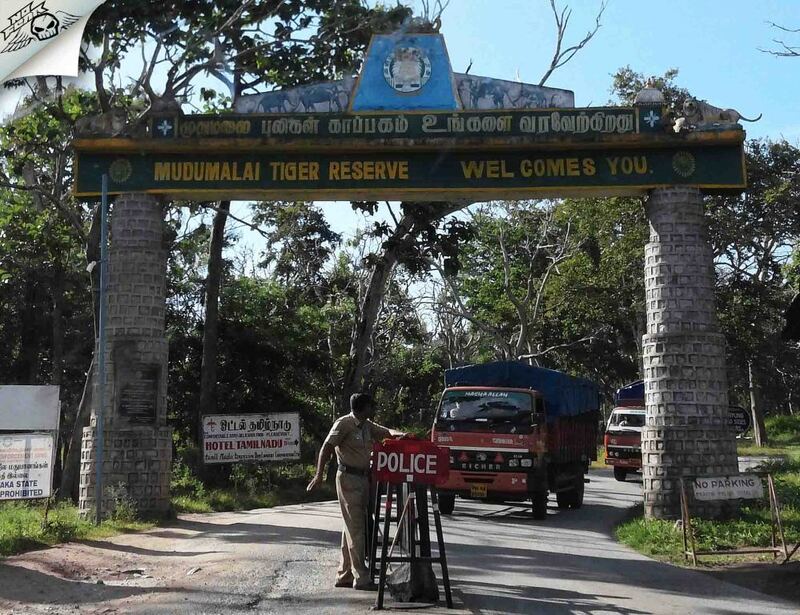 We finished safari ride and continued our journey, after crossing Karnataka -Tamilnadu boundary locals from Tamilnadu side were offering Safari ride and even Govt Safari rides were available (don't hire local jeeps as they will take you only on highway road as they are not allowed to enter inside forest). After couple of kilometers we pulled over for breakfast. 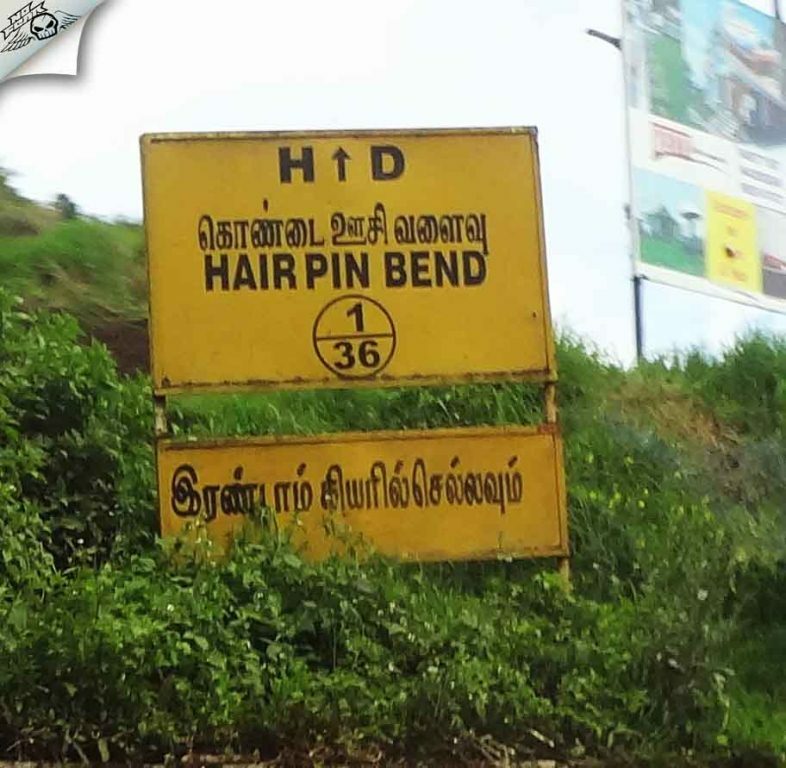 We took the Masingudi route which takes you through 36 hair pin bend road. Good driving skills is must to negotiate this stretch as we had seen couple of accident while coming back. 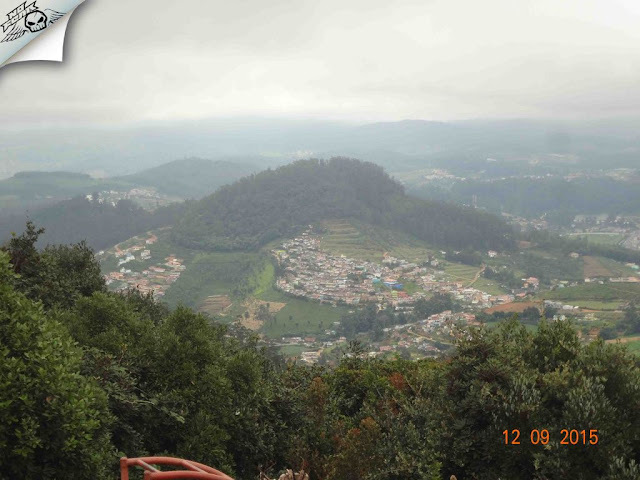 Ooty: Place was a little different than our imagination, the city is small with hotels, resorts and restaurants everywhere. 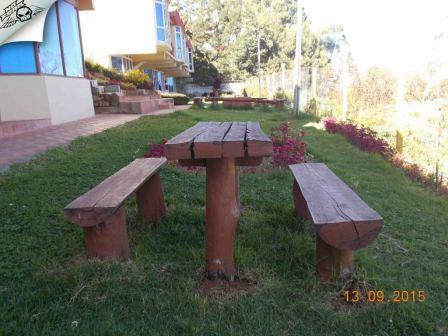 We headed straight to Tulips Elk Hill Resorts where we had our accommodation reserved. 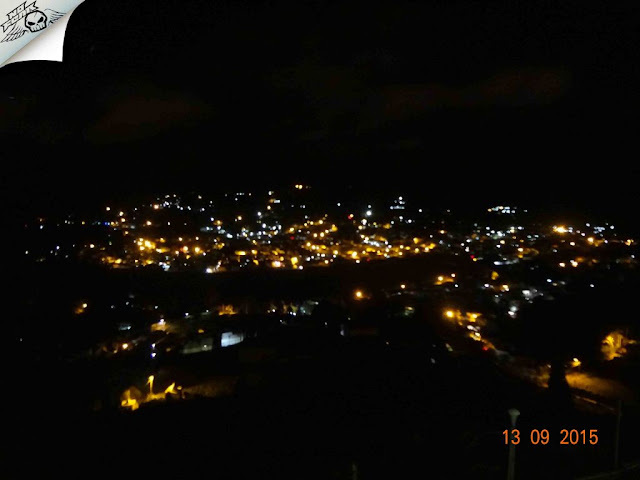 The hotel had a good view of Ooty city and an abandoned Race course, rooms were neat and clean. After fresh up we were ready to explore the beauty of Ooty. Pulled over for lunch at some restaurant, food was decent but was overpriced :( (Rs. 1800 for 6 ). 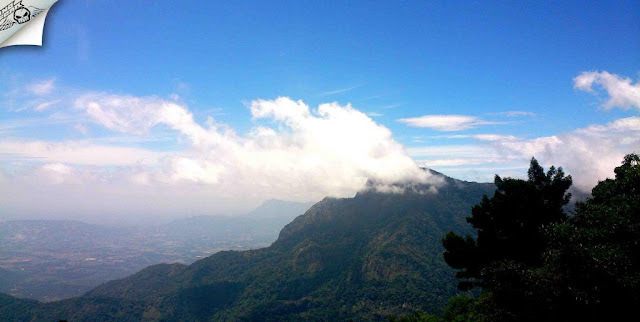 After stomach full of meal we headed on to our first destination of the day - Doddabetta Peak. 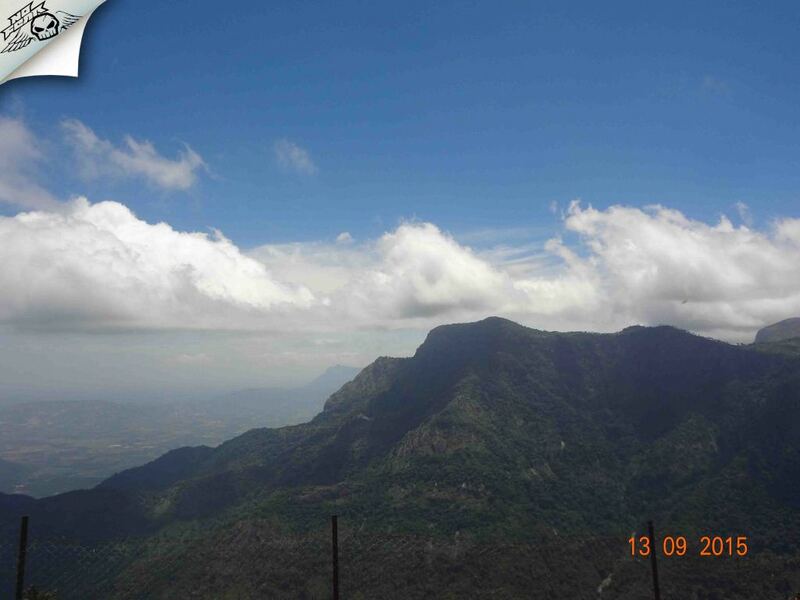 Doddabetta peak: Half an hour drive took us to Doddabetta peak - Highest peak in south India. 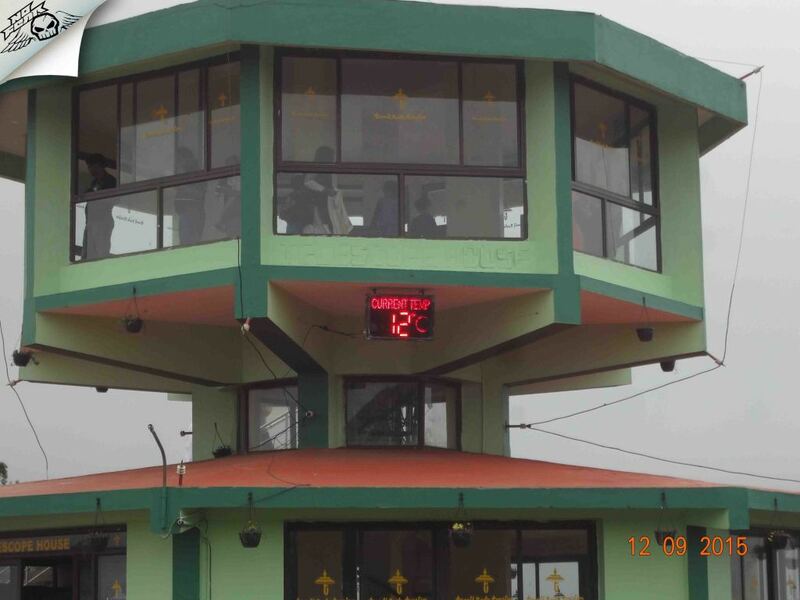 High altitude was clearly sensible by the temperature at this place, it was around 2 in the afternoon and the thermometer read 12 degree Celsius. Apart from the icy climate, the hill also offers enchanting view of different cities. 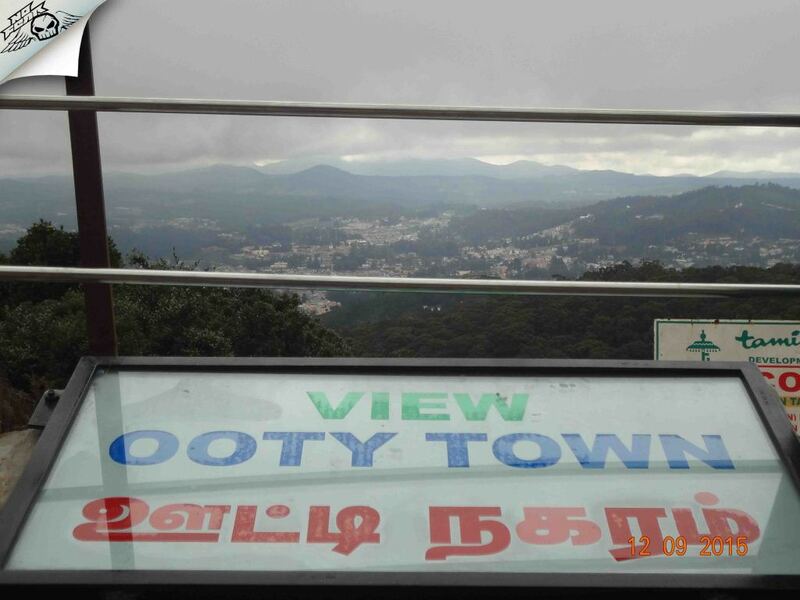 You can see Coimbatore, Avalance Lake, Mukti Peak, Ooty Town from this place. 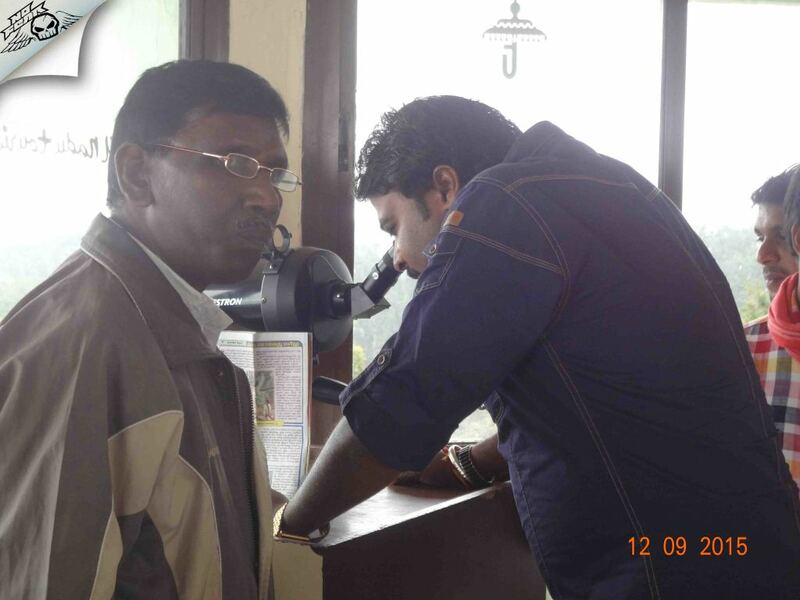 There is also a Telescope House constructed and maintained by govt of Tamilnadu from where you can peak inside Ooty city. 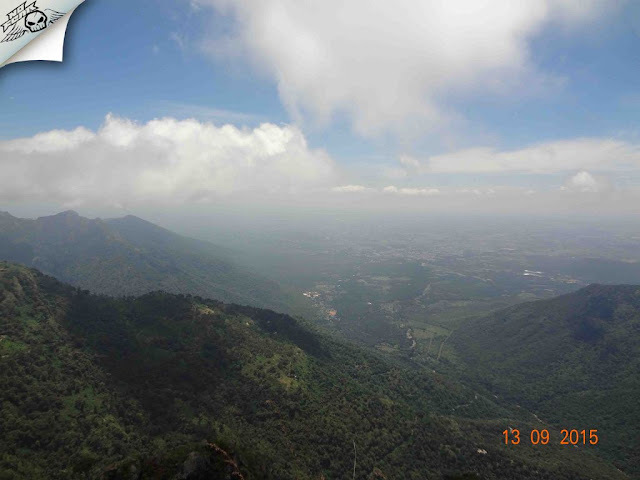 One can get a mesmerizing view of Sunrise and Sunset from the peak, best time to visit is in morning as it could be sunny in the afternoon. 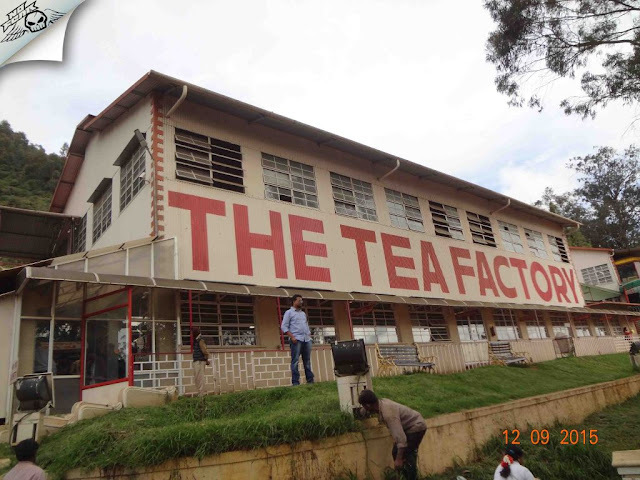 The Tea Factory: Ooty is well known for its tea, although tea leaves are cultivated at Kotagiri and Coonoor there are couple of tea factories to attract tourists where one can see process behind tea manufacturing. On the way back from Doddabetta we visited this popular attraction known as The Tea Factory Museum. 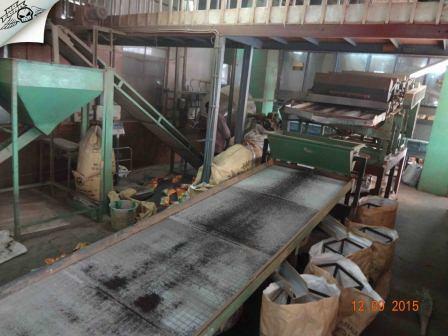 As we entered the tea factory a man explained us about the manufacturing process using a big chart. 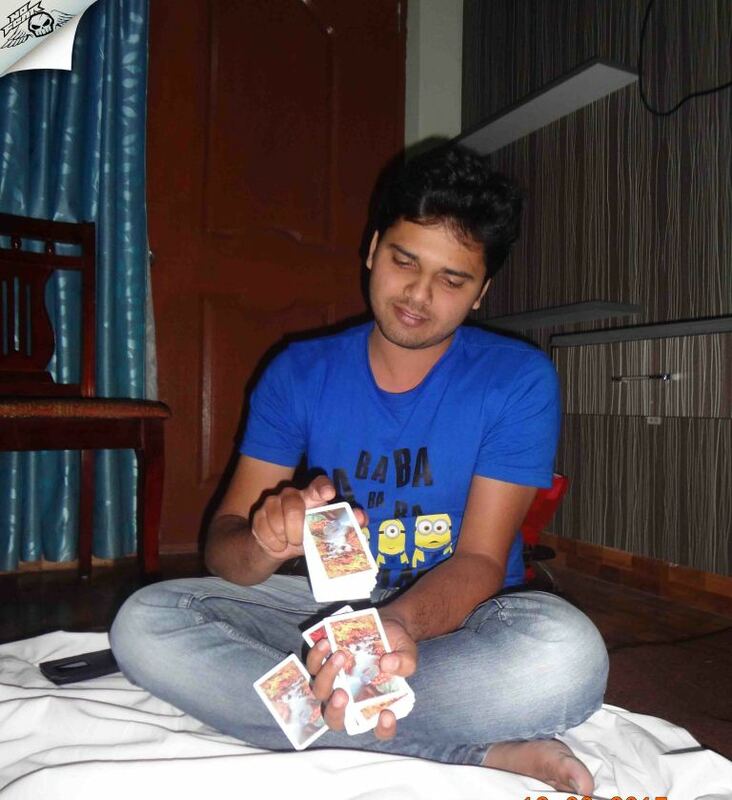 After two minutes of theory session we proceeded to see things in action. 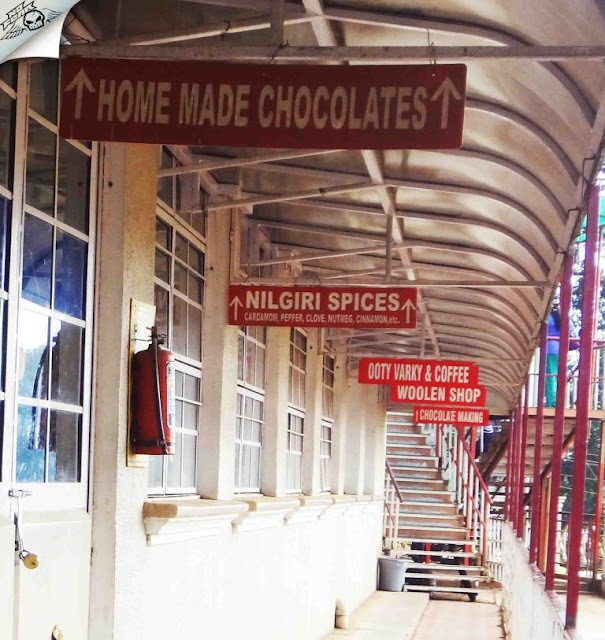 At the end of the manufacturing line they served hot Tea made using tea powder manufactured there itself. It was one of the best tea I ever had in my life. We couldn't resist ourselves from buying tea power. Bought some Nilgiri oils too which are worth of buying. 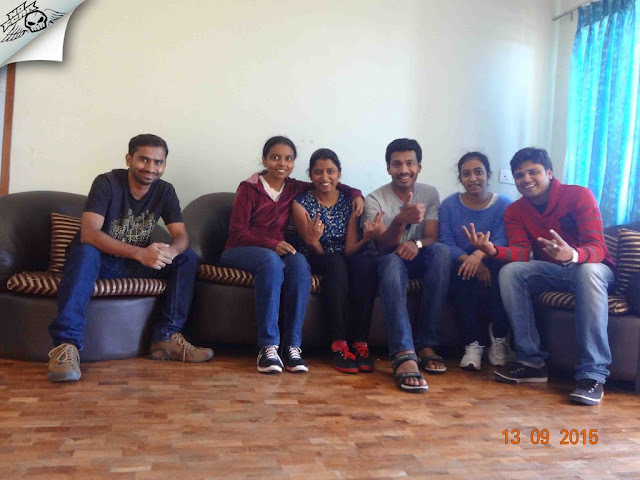 It was already 5 pm by the time we came out of tea factory museum, we had plans to cover Ooty lake on the same day so we rushed to lake as it would be closed by 6 pm. Ooty Lake: Boating at Ooty lake is a must do thing, without wasting a minute we bought tickets and boarded on to pedal boats. 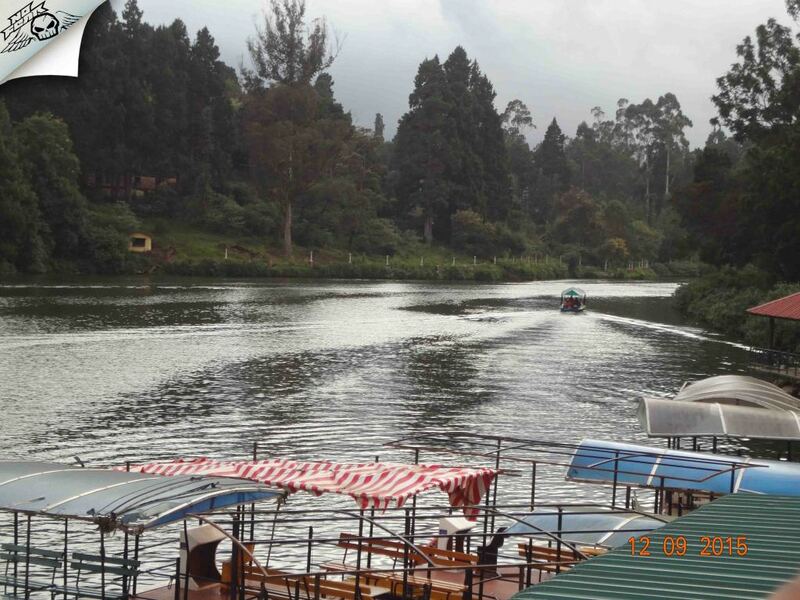 We enjoyed boating in this serene stretch admiring the beauty of surroundings, the scenic view of the lake was most enjoyable at the middle of the lake. 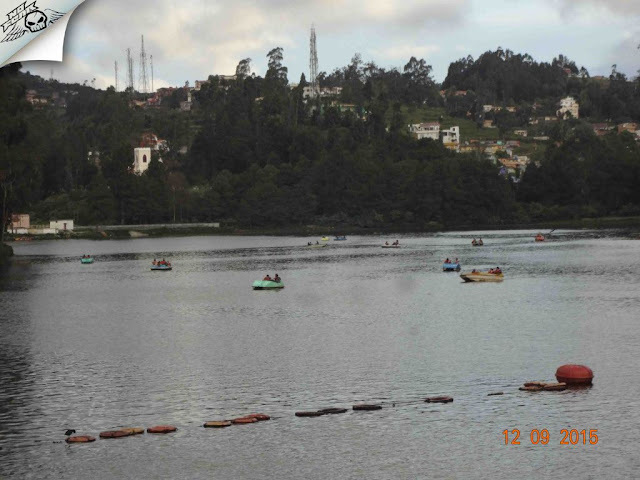 Apart from boating there are lot of games for whole family which makes Ooty lake a best spot to spend a day with family. Even there are cycles available for rent to explore surroundings but it was closed by the time we went. 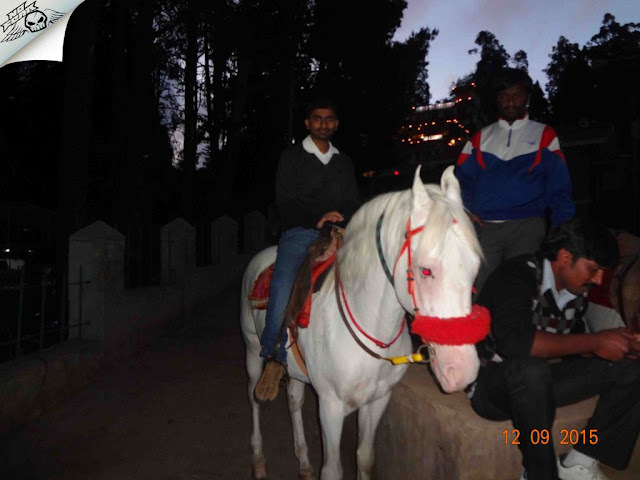 Spent another hour enjoying the ambiance, eating sugar candy, riding horse and off course taking lots of photos. 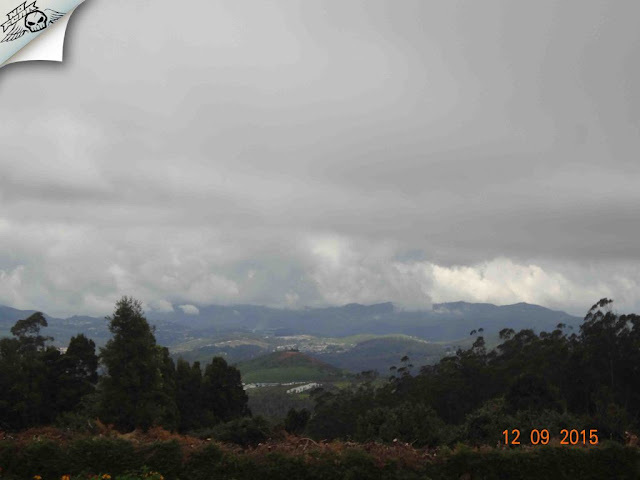 The sky had turned dark followed by drastic change in the climate. 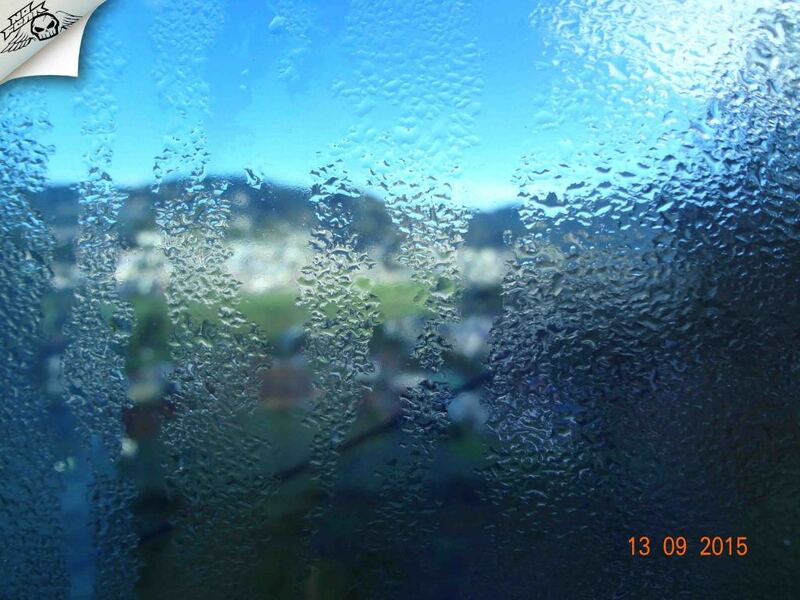 It was freaking cold outside, thankfully heavy blankets helped us catch good sleep. 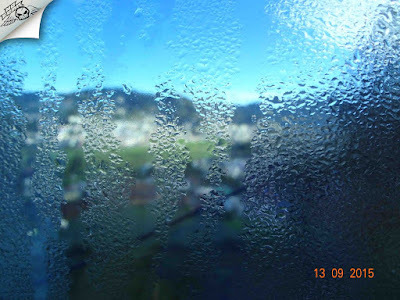 Sunday Morning: When I opened my eyes it was already 7, the climate was still freezing cold making it impossible to get out of the bed. Finally I motivated myself to get up and fresh up. We had complementary breakfast from the hotel which was still unused, we jumped into the dining hall to have breakfast. The taste and quality of the food was more than expected. After a small photo session we packed our luggage and checked out around 10 am. We had plans to catch Toy Train from Coonoor at 12.30 pm but since we were far behind the schedule we cancelled train plan and decided to visit only Lambs Rock and Dolphin Nose. 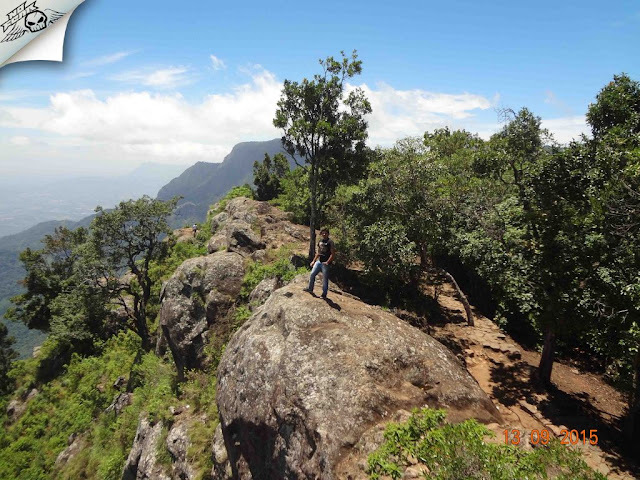 Lamb's Rock: An hour of drive took us to our first destination of the day. 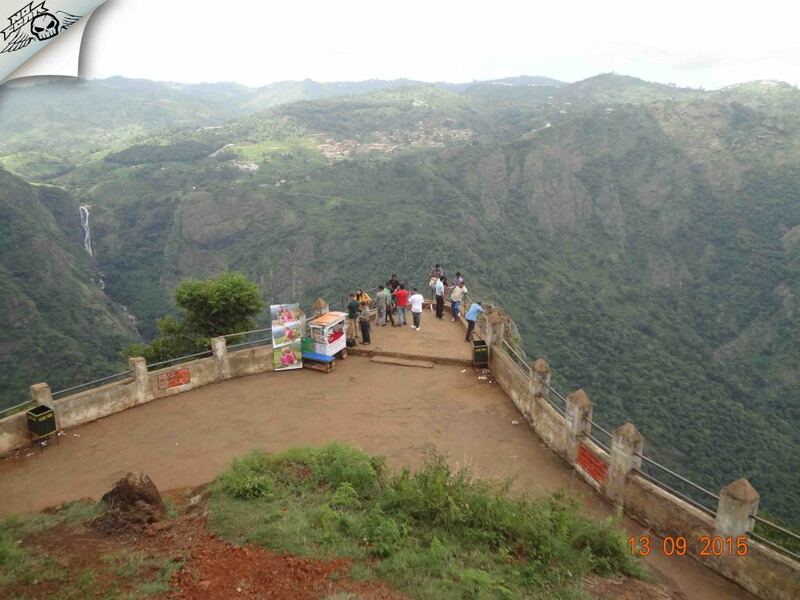 Lambs Rock offers a scenic view of the surrounding hills and a good climate. 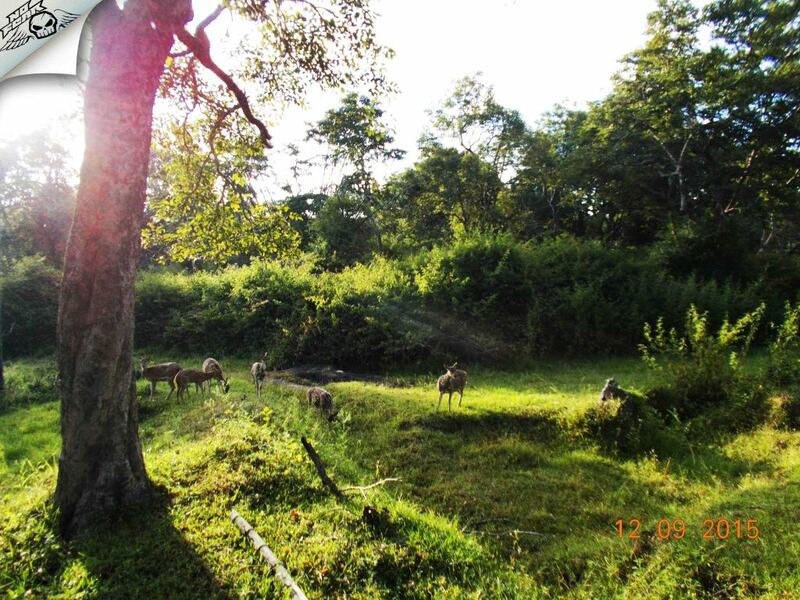 One is sure to get feeling of being in very close proximity to nature. We were lost in the woods capturing the beauty of the surroundings and off course ourselves. 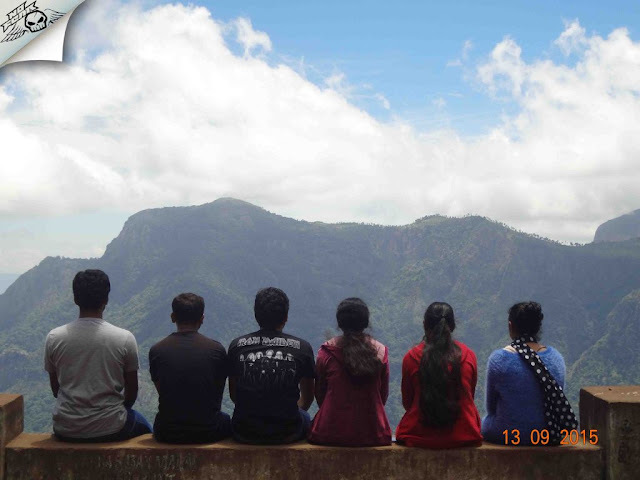 Another round of photo session was followed where everyone was blessed with their upcoming whatsapp and facebook profile pics :D Lost in our own world we forgot the running clock, after an hour and half we decided to go back. Dolphin's Nose: Another 20 minutes drive took us to Dolphin's Nose. 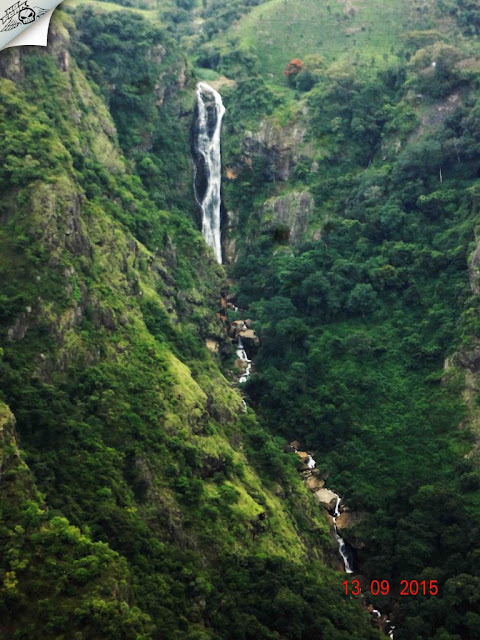 One more scenic view point but this time with added beauty of water falls. It is a unique rock formation which resembles a Dolphin's nose. 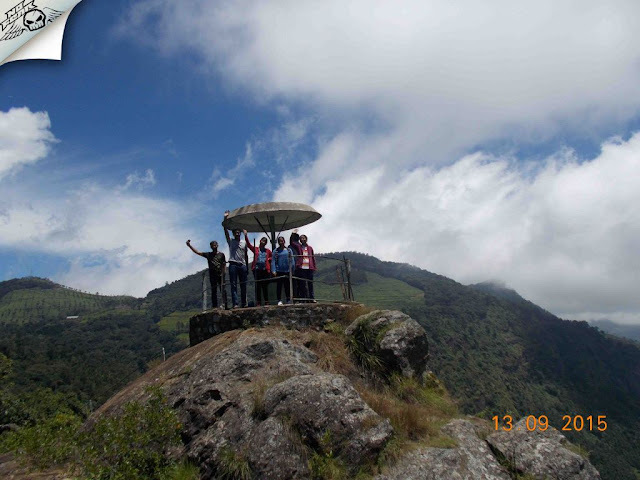 Apart from the view point there were tea estate en route which helped us capture some good shots. 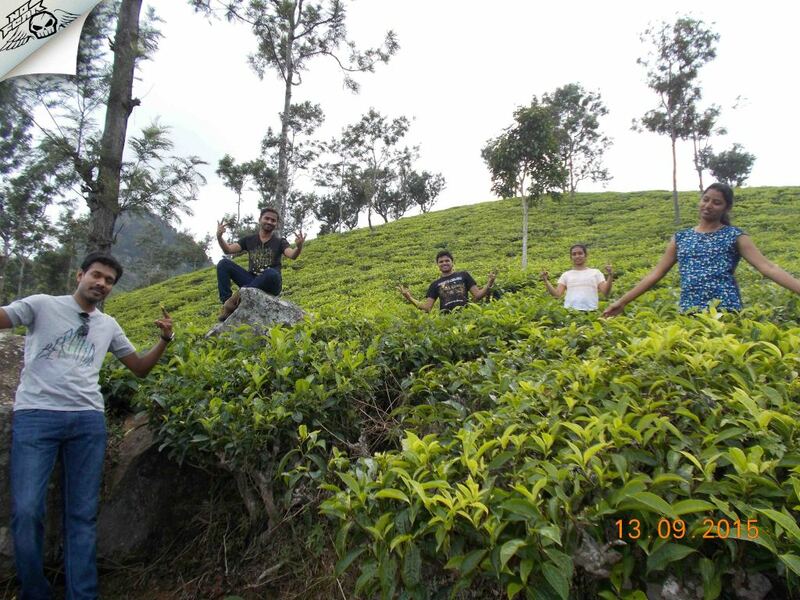 How can we miss posing in the Tea estates? It was around 2 in the afternoon we had no plans to visit anymore attractions so we decided to head back to Bangalore. 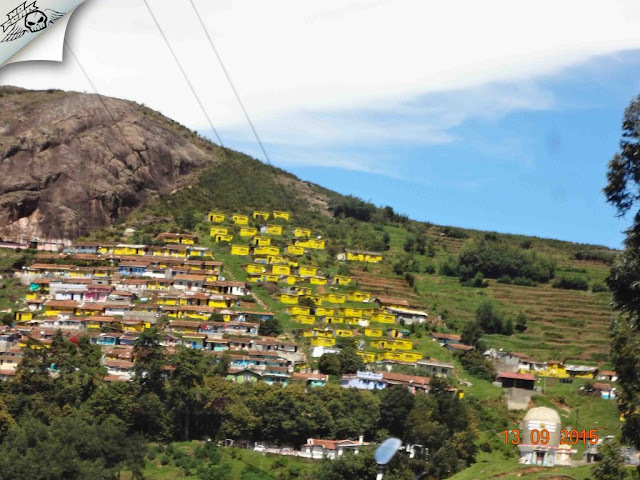 We stopped for lunch at Biriyani House in Ooty, after good meal we said bye to the beautiful place. 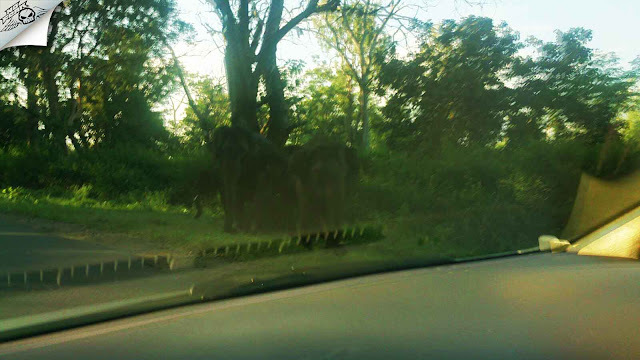 While crossing Bandipura National park we spotted elephants herd beside the road eating grass. 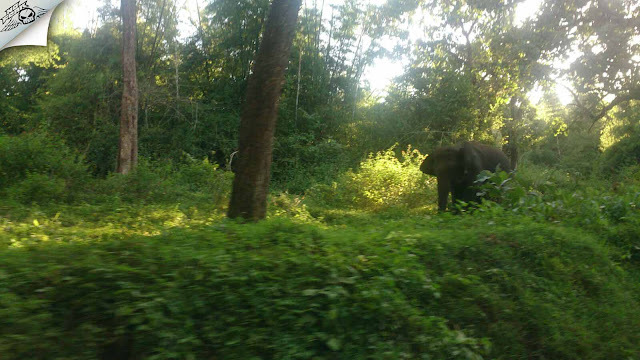 Funniest part was one of the baby elephant freaked out and started chasing car behind us :D See the irony on the previous day we had spend around 2 hours and wasted Rs 1800 for safari ride but returned with no luck. 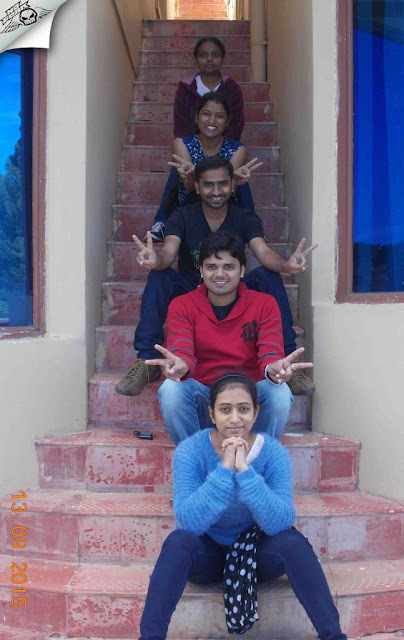 Finally we all reached our respective homes by 12 am. Don't forget to +1 / Like / Share / Leave a comment below.